President Trump’s firing of FBI chief James Comey last May spurred much of the media to rally around America’s most powerful domestic federal agency. 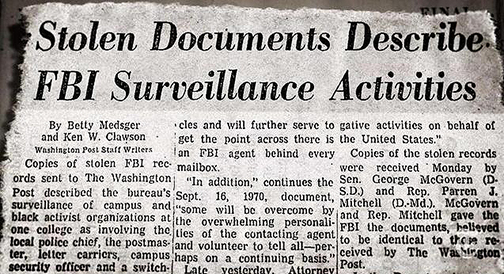 But the FBI has a long record of both deceit and incompetence. Five years ago, Americans learned that the FBI was teaching its agents that “the FBI has the ability to bend or suspend the law to impinge on the freedom of others.” This has practically been the Bureau’s motif since its creation in 1908. The bureau was small potatoes until Woodrow Wilson dragged the United States into World War I. In one fell swoop, the number of dangerous Americans increased by perhaps twentyfold. The Espionage Act of 1917 made it easy to jail anyone who criticized the war or the government. In September 1918, the bureau, working with local police and private vigilantes, seized more than 50,000 suspected draft dodgers off the streets and out of the restaurants of New York, Newark, and Jersey City. The Justice Department was disgraced when the vast majority of young men who had been arrested turned out to be innocent. After the debacle of the Palmer raids, the bureau devoted its attention to the nation’s real enemies: the U.S. Congress. The bureau targeted “senators whom the Attorney General saw as threats to America. The Bureau was breaking into their offices and homes, intercepting their mail, and tapping their telephones,” as Tim Weiner recounted in his 2012 book Enemies: The History of the FBI. The chairman of the Senate Foreign Relations Committee was illegally targeted because the bureau feared he might support diplomatic recognition of Soviet Russia. 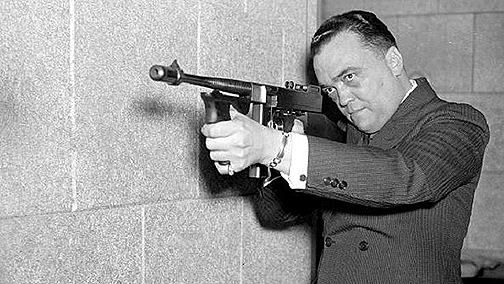 Hoover, who ran the FBI from 1924 until his death in 1972, built a revered agency that utterly intimidated official Washington. The FBI tapped the home telephone of a Supreme Court clerk, and at least one Supreme Court Justice feared the FBI had bugged the conference room where justices privately discussed cases. In 1945, President Harry Truman wrote in his diary, “We want no Gestapo or Secret Police. 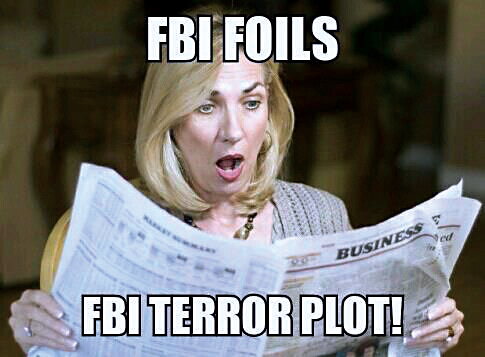 FBI is tending in that direction…. This must stop.” But Truman did not have the gumption to pull in the reins. From 1956 through 1971, the FBI’s COINTELPRO program conducted thousands of covert operations to incite street warfare between violent groups, to get people fired, to portray innocent people as government informants, and to cripple or destroy left-wing, black, communist, white racist, and anti-war organizations. FBI agents also busied themselves forging “poison pen” letters to wreck activists’ marriages. The FBI set up a Ghetto Informant Program that continued after COINTELPRO and that had 7,402 informants, including proprietors of candy stores and barbershops, as of September 1972. The informants served as “listening posts” “to identify extremists passing through or locating in the ghetto area, to identify purveyors of extremist literature,” and to keep an eye on “Afro-American type bookstores” (including obtaining the names of the bookstores’ “clientele”). 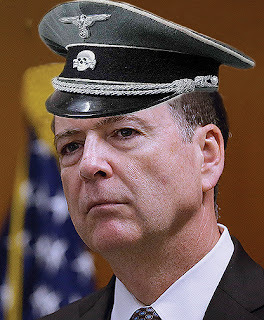 The FBI let no corner of American life escape its vigilance; it even worked to expose and discredit “communists who are secretly operating in legitimate organizations and employments, such as the Young Men’s Christian Association and Boy Scouts,” as a 1976 Senate report noted. The FBI took a shotgun approach to target and harass protesters partly because of its “belief that dissident speech and association should be prevented because they were incipient steps toward the possible ultimate commission of an act which might be criminal,” the Senate report observed. That report characterized COINTELPRO as “a secret war against those citizens [the FBI] considers threats to the established order.” COINTELPRO was exposed only after a handful of activists burglarized an FBI office in a Philadelphia suburb, seized FBI files, and leaked the damning documents to the media. The revelations were briefly shocking but faded into the Washington Memory Hole. FBI haughtiness was showcased on national television on April 19, 1993, when its agents used 54-ton tanks to smash into the Branch Davidians’ sprawling, ramshackle home near Waco, Texas. The tanks intentionally collapsed 25 percent of the building on top of the huddled residents. After the FBI pumped the building full of CS gas (banned for use on enemy soldiers by a chemical-weapons treaty), a fire ignited that left 80 children, women, and men dead. The FBI swore it was not to blame for the conflagration. However, FBI agents had stopped firetrucks from a local fire department far from the burning building, claiming it was not safe to allow them any closer because the Davidians might shoot people dousing a fire that was killing them. Six years after the assault, news leaked that the FBI had fired incendiary tear-gas cartridges into the Davidians’ home prior to the fire’s erupting. The FBI has long relied on entrapment to boost its arrest statistics and publicity bombardments. The FBI Academy taught agents that subjects of FBI investigations “have forfeited their right to the truth.” After 9/11, this doctrine helped the agency to entrap legions of patsies who made the FBI appear to be protecting the nation. Trevor Aaronson, author of The Terror Factory: Inside the FBI’s Manufactured War on Terrorism, estimated that only about 1 percent of the 500 people charged with international terrorism offenses in the decade after 9/11 were bona fide threats. Thirty times as many were induced by the FBI to behave in ways that prompted their arrest. The FBI’s informant program extended far beyond Muslims. The FBI bankrolled a right-wing New Jersey blogger and radio host for five years prior to his 2009 arrest for threatening federal judges. We have no idea how many bloggers, talk-show hosts, or activists the FBI is currently financing. Boggs vindicated a 1924 American Civil Liberties Union report warning that the FBI had become “a secret police system of a political character” — a charge that supporters of both Hillary Clinton and Donald Trump would have cheered last year. Is the FBI’s halo irrevocable? The FBI has always used its “good guy” image to keep a lid on its crimes. It is long past time for the American people, media, and Congress to take the FBI off its pedestal and place it where it belongs — under the law. It is time to cease venerating a federal agency whose abuses have perennially menaced Americans’ constitutional rights. Otherwise, the FBI’s vast power and pervasive secrecy guarantee that more FBI scandals are just around the bend.